Khorosho Productions: Pulp Alley and Resistance Deals on sale NOW! Pulp Alley and Resistance Deals on sale NOW! 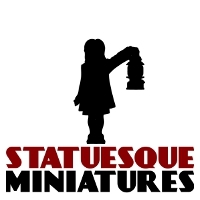 Statuesque Miniatures is pleased to announce we are now selling the Pulp Alley rulebooks and playing cards. With a European retailer for the games, it is now easier and cheaper for Pulp Alley fans on this side of the Atlantic to get their hands on the printed copies of the game. Pulp Alley is a pulp-themed miniatures game, with all the rules you need to bring dashing heroes, dastardly villains, and pulse-pounding action to your gaming tabletop. Pulp Alley captures the fast-paced excitement of classic cliffhanger serials and pulp magazines to more modern action/adventure stories. Designed primarily as a multi-player miniatures game, each Pulp Alley scenario is jammed full of villains, unexpected perils, and plenty of two-fisted action. The Pulp Alley rulebooks and cards are in-stock, though we are waiting on protective sleeves so there will be a couple of days delay before orders are sent. 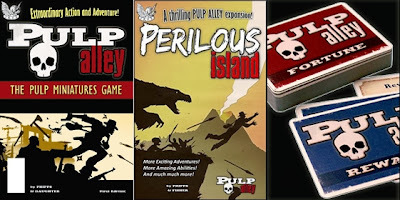 The Pulp Alley Rulebook is £11.50 (UK price), the Perilous Island expansion and scenario book £12.50 and the Pulp Alley Fortune Deck £10.00. Until Monday 2nd December or while stocks last, you can purchase all three items for a Special Offer reduced price of only £30, saving over 10%. Please note, there is a small surcharge for orders outside the UK, due to postal costs. Please remember to click the appropriate surcharge on the product page or your order may be delayed. Next up is the release of the improved Female Resistance Fighters. The Female Resistance Fighter Redux set is priced at £11. Purchase two sets for £10 each; three or more sets for only £9 each! 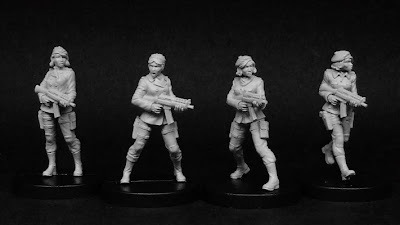 With redone, improved heads and weapons, the Female Resistance Fighter Redux allows me a more flexible base to further expand the range in future, as well as allowing me to offer even better deals. Speaking of which, you can now purchase the 8-figure Resistance Cell set, comprising of the Female Resistance Fighter Redux, Resistance Fighter Cell Officers and Resistance Recon Team. Until Monday 2nd December, this set is priced at only £24, saving £5 over buying the items separately. Purchase two cells for £23 each; three or more for only £22 per set! Not only that, you'll also get a FREE Resistance Fighter Beret Head sprue and a FREE Resistance Fighter Officer Weapons sprue if you purchase two or more Resistance Cells. There's more! 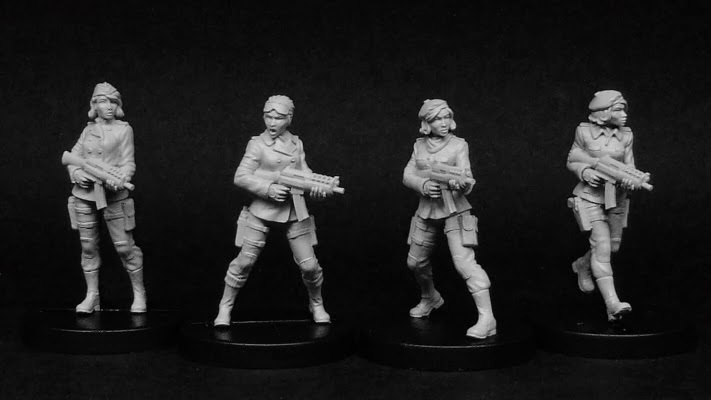 The three-figure Resistance Specialists set comprises of Rosa, Lila and Eva of the Resistance, and is priced at only £13. Purchase two sets for £12 each; three or more for only £11 each! Until Monday 2nd December,you'll also get a FREE Resistance Fighter Beret Head sprue if you purchase two or more Resistance Specialists sets. 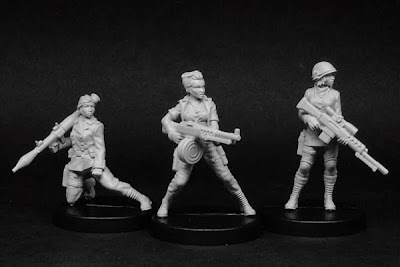 Finally, the original Female Resistance Fighters are now available individually, allowing you to tailor your Cell to your exact requirements. Stock on these items are currently low but they will be restocked in the future.